It was December 4, 1956, a Tuesday like any other Tuesday. People woke up, got ready for work, and went about their daily lives as if nothing was different; but there was something brewing. An event in time that, to the everyman, may seem so miniscule and insignificant; but to the music world, was a day that would surely go down in history. 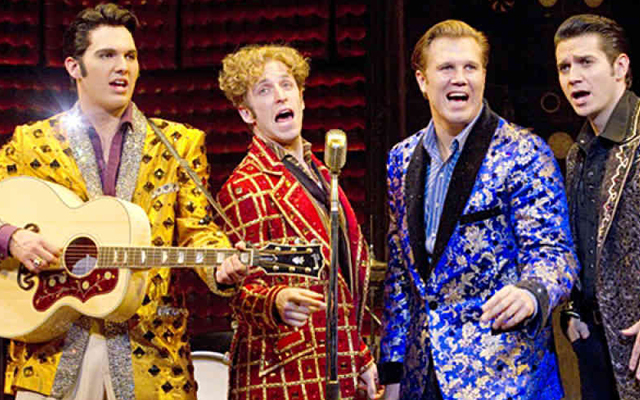 It was the day the “Million Dollar Quartet” came together for the first and only time, embedding that cold Tuesday in December in music history forever. There’s some speculation around how it came to be that Elvis Presley, Johnny Cash, Jerry Lee Lewis, and Carl Perkins came to be in the same Sun Record Studios in Memphis at the same time, but the “how” and the “why” is far from important. These four musical greats came together in an impromptu jam session that inspired Las Vegas’ own Million Dollar Quarter, featured every Thursday through Tuesday at Harrahs’ The Theater. 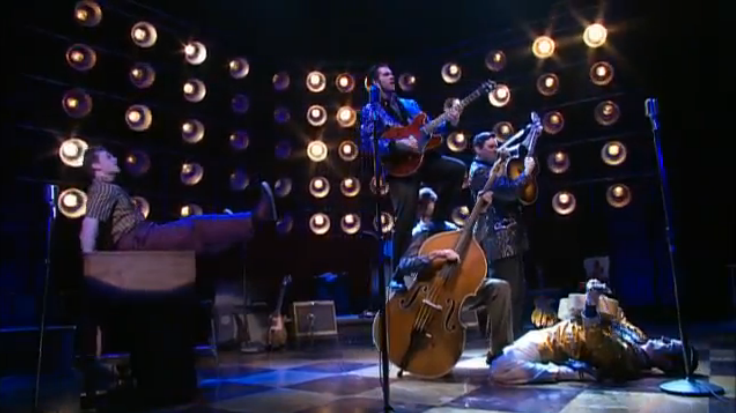 The Million Dollar Quartet may have been a one shot deal in 1956, but Sin City has brought together four impressive impersonators to take the reigns as the foursome in this “What Could Have Been” look into what the musical industry could have been in for had the quartet done far more than that one little day. 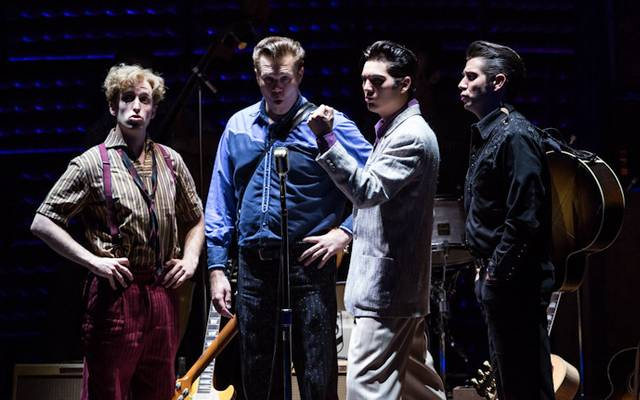 Step into the blue suede shoes of Elvis Presley as he (played by Tyler Hunter), Johnny Cash (Benjamin Hale), Jerry Lee Lewis (Martin Kaye), and Carl Perkins (Robert Britton Lyons) play tribute to the day they came together all the while intermingling some classic hits of their own. Hearing the quartet belt out “Blue Suede Shoes”, “Whole Lotta Shakin’ Goin’ On”, “See You Later, Alligator”, and “Hound Dog” is a musical treat for the ears. 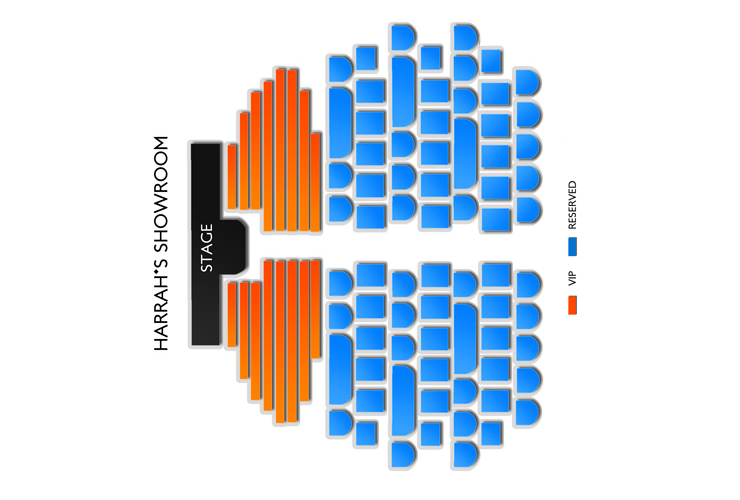 Never has a performance this long-awaited been featured in any stage, both in and out of Las Vegas. The foursome of near impeccable impressionists help bring the audience back to December 4, 1956 by recreating some of the gospel and country / western songs that were recorded that day. 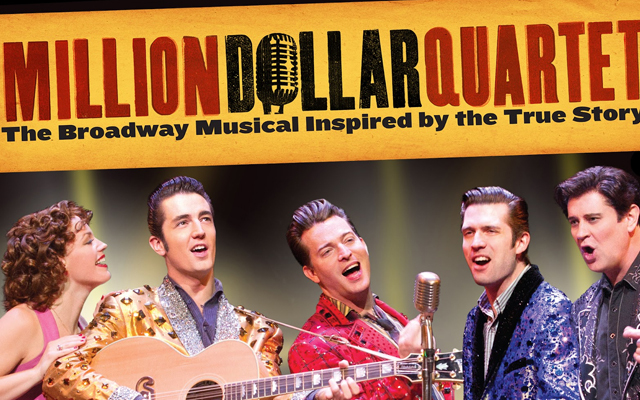 To say the Million Dollar Quarter takes the audience on a trip through time would be an understatement. The entire experience is surreal, so much so that it’s easy to forget the fait of each of the four singers. 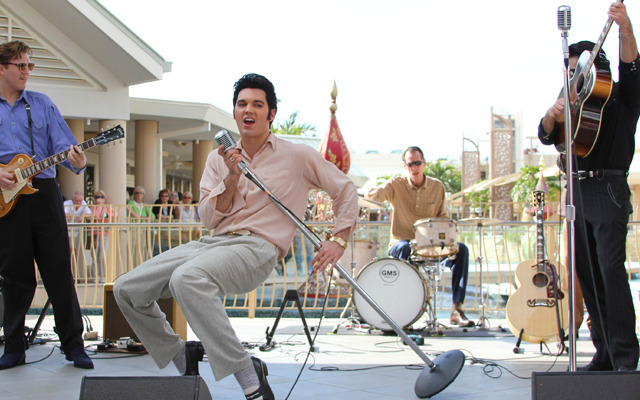 There are plenty of tribute shows on the Strip, ranging from The Beatles to Michael Jackson, but not one is as important for a music aficionado to see as Million Dollar Quartet. It allows the chance for everyone to live that day chance day as if it were happening right in front of them. 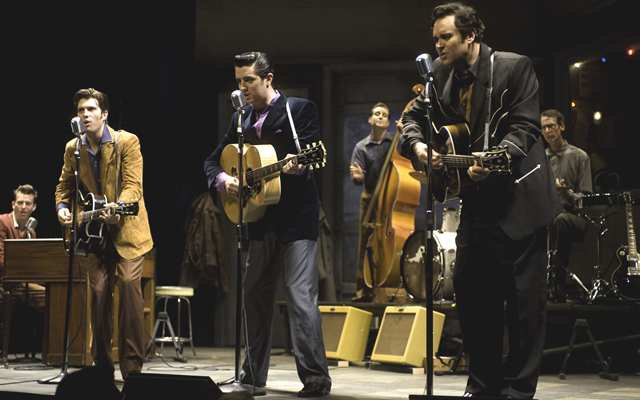 Johnny Cash, Elvis Presley, Jerry Lee Lewis, and Carl Perkins; a musical foursome that, if it had the chance to go on the road, would have stunned the world of music forever. 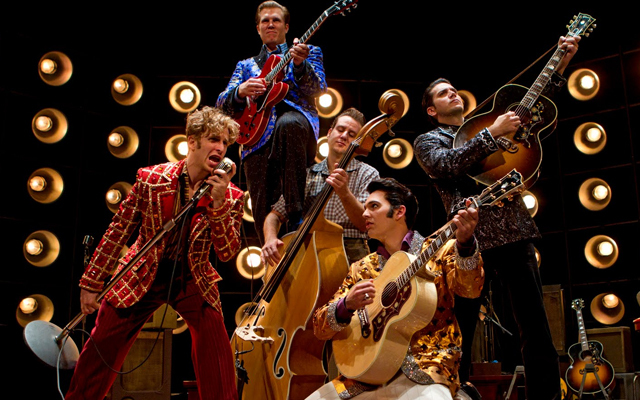 Don’t miss your opportunity to see the Million Dollar Quartet live at Harrah’s. Get on the phone today and call Exploring Las Vegas for show times, pricing, and the best tickets you’ll ever get your hands on.